Ah, calamay! Originating from Bohol, this sweet, thick delicacy that literally sticks on the roof of the mouth brings absolute happiness. We love to spread it on our pan de sal. We delight ourselves as we twirl that brown paste around our forks. We top it on our biko or puto for that extra dash of sweetness. It is hard to imagine Filipino cuisine without the venerable calamay. But do you know that making this delicacy is also a true labor of love? Make no mistake. Calamay is a central figure in shaping the culture, history, and economy of the municipality of Jagna, Bohol. 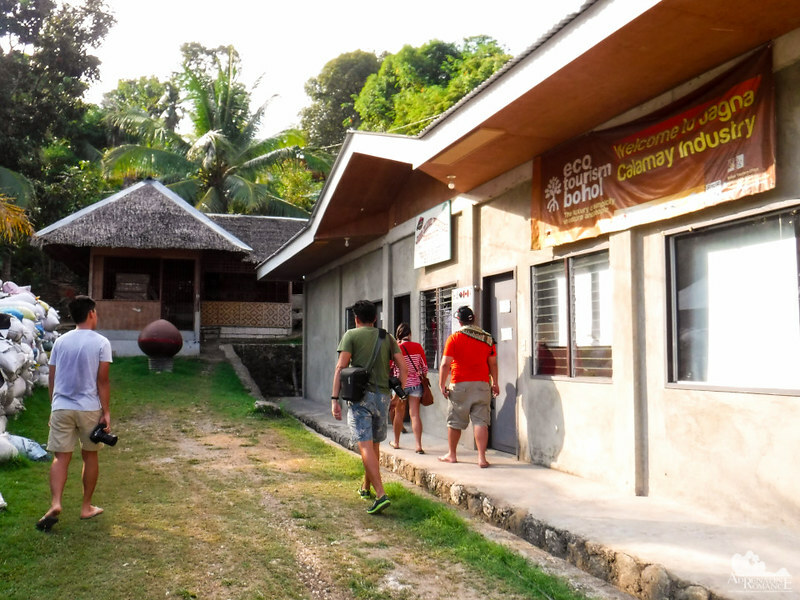 That’s why we were quite excited when the Bohol Provincial Tourism invited us and a few other bloggers, writers, and social media influencers to cover the 3rd Calamay Festival in Jagna. But what exactly is calamay? For those who are not familiar with it, it is a delicacy made of coconut milk, brown sugar, and ground glutinous rice. This world-famous delicacy is concocted using both traditional and modern means. Let’s take a look at both methods. There are many pocket and micro-businesses in Jagna that make calamay the traditional way. 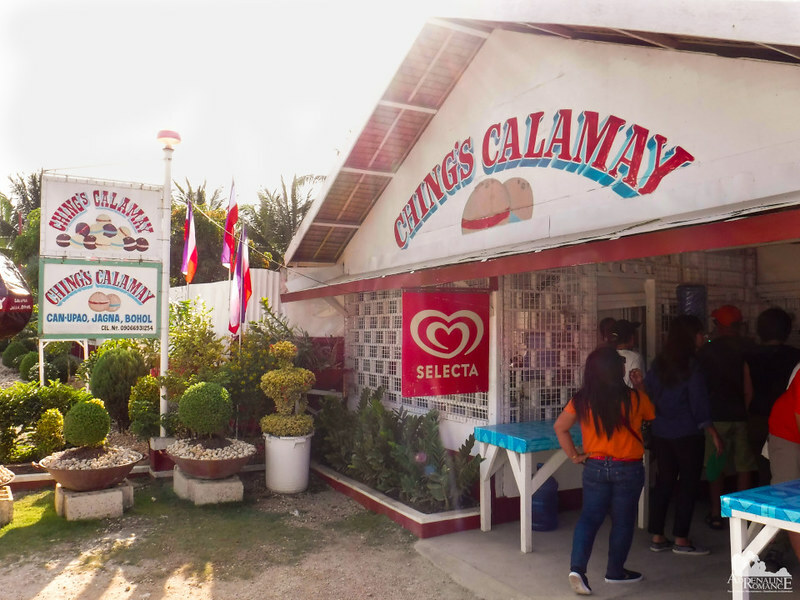 A few of these businesses became known for the quality of their product, and the most renowned one is Ching’s Calamay. 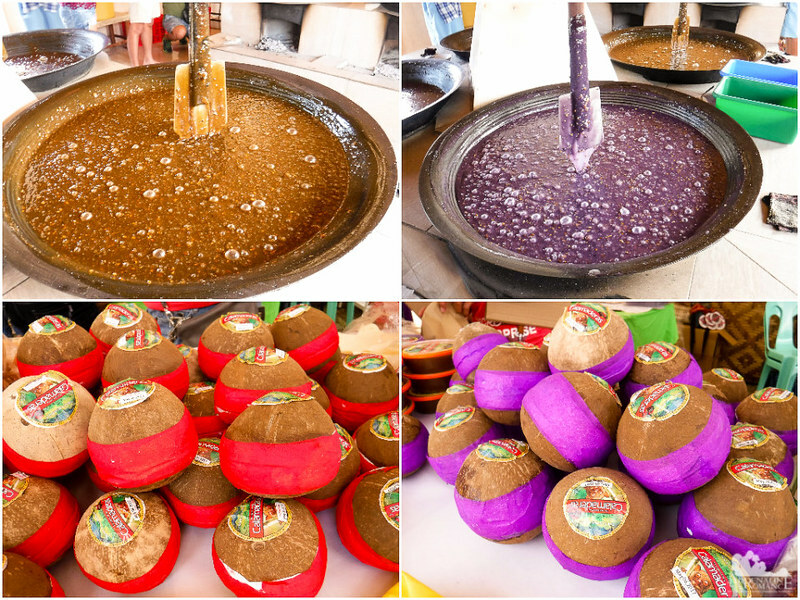 They are considered as the benchmark of quality when it comes to calamay and other Bohol delicacies. 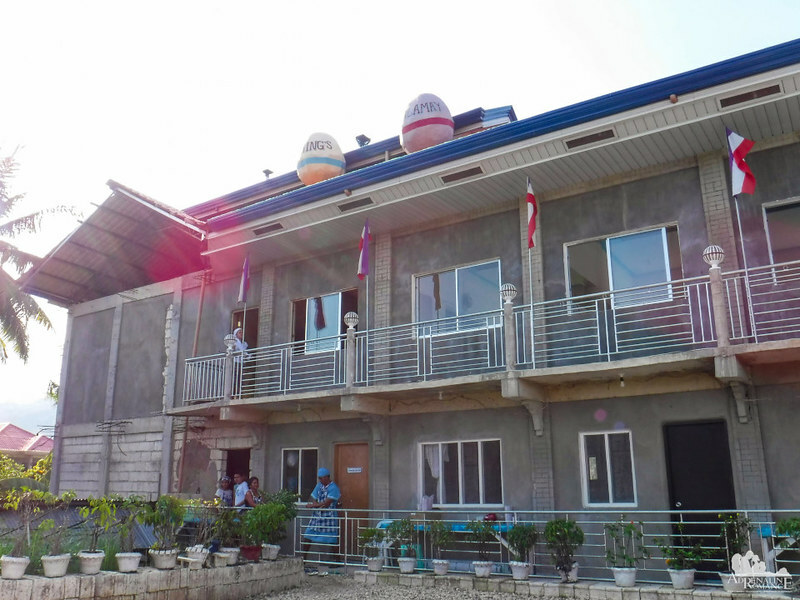 The facility comprises of a relatively simple Filipino apartment-style building. The lower floors house offices, lounges, and perhaps lodging spaces for some workers living in far-flung areas. The main production area is on the second floor. 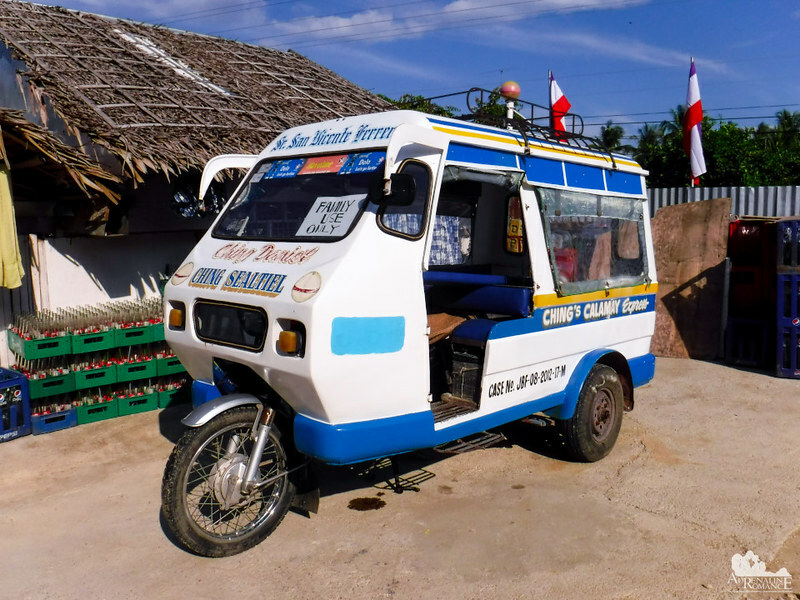 Three-wheeled motorelas such as the one in the photo below are essential movers in the region’s calamay industry. They transport hundreds of finished products to stores around Jagna and nearby towns. They are also indispensable for bringing in sacks of glutinous rice, brown sugar, and other ingredients used in the delicacy’s production. 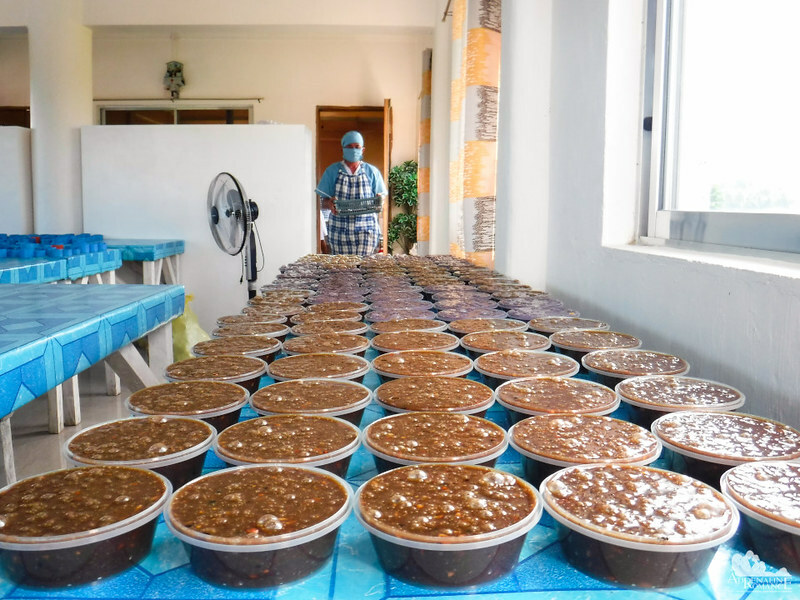 At the facility, calamaderas—the men and women who make the calamay—unceasingly mix, stir, and toss the calamay with furious, unrelenting vigor. The creation of the delicacy involves two steps. First, pilit (glutinous rice) is added to coconut milk, and the mixture is ground until it becomes a smooth paste. 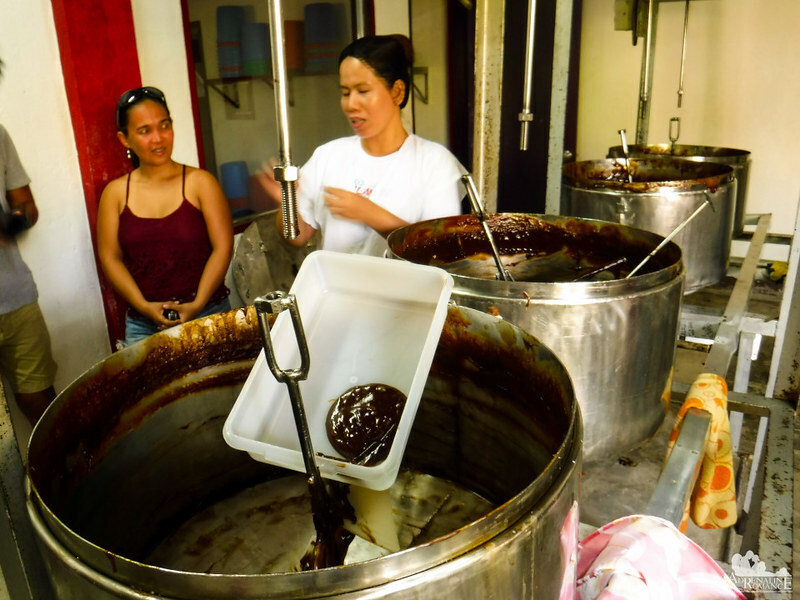 Second, brown sugar is added to a second batch of coconut milk, which is then boiled to make a thick, sweet syrup called latik. The latik is then poured into the pilit-coconut milk mixture. The mixture is then stirred for several hours. 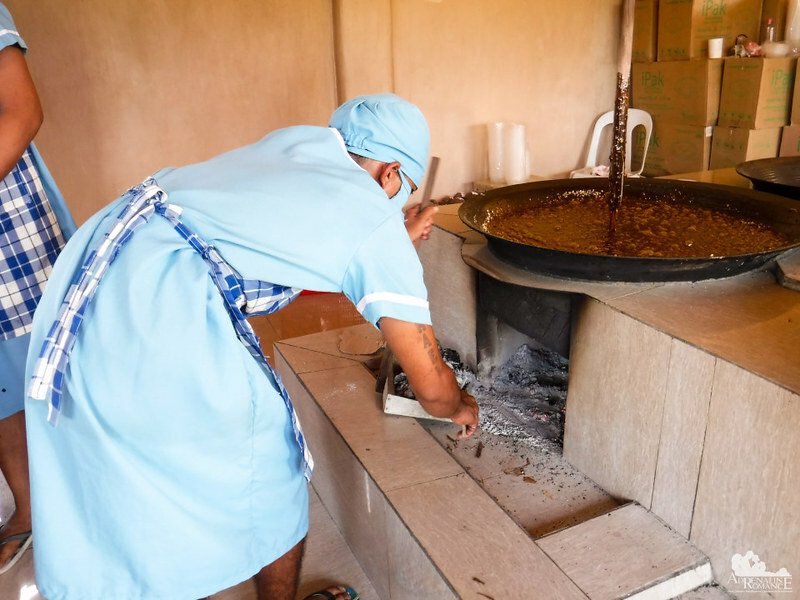 Wood-fired stoves are used to heat the vessels where the calamay is cooked. Sounds easy, right? Far from it. You see, the concoction has to be stirred non-stop to avoid burning the calamay and to retain its viscous consistency. 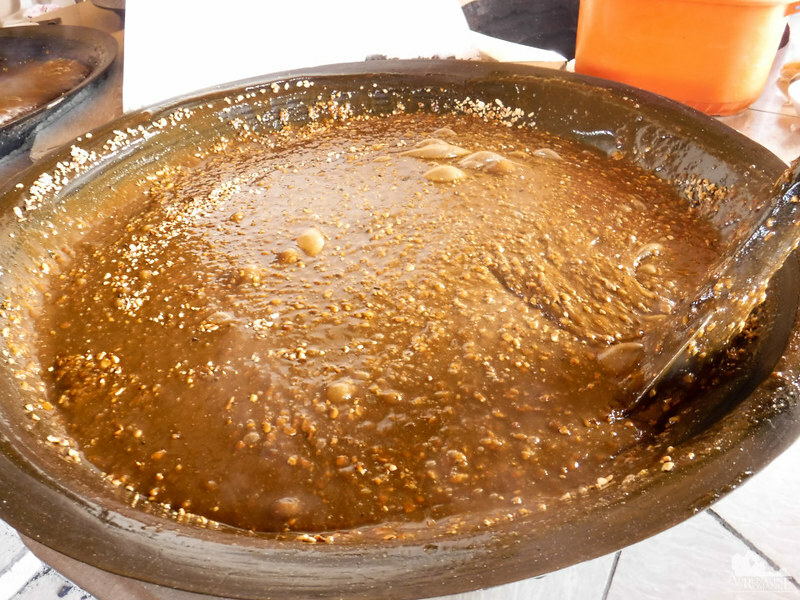 But as the calamay is cooked, it becomes extremely thick, which makes stirring the paste increasingly difficult. Stirring can take anywhere between four to six hours under a gentle, controlled fire! It’s a whole day workout, not to mention doing all this in a hot environment! Now, that’s a true labor of love, don’t you think? Calamaderas wear aprons, masks, and caps at all times to prevent contamination. In fact, guests are not allowed to talk when they enter the production area. After stirring for several hours, the calamay is finally done. If you want the classic flavor, get the brown one. But the ube (purple yam) calamay—the paste in purple—is also quite popular. Many businesses have tried experimenting with other variations. There are calamays topped with crushed peanuts or pinipig, and ones that have an unmistakable tinge of ginger. 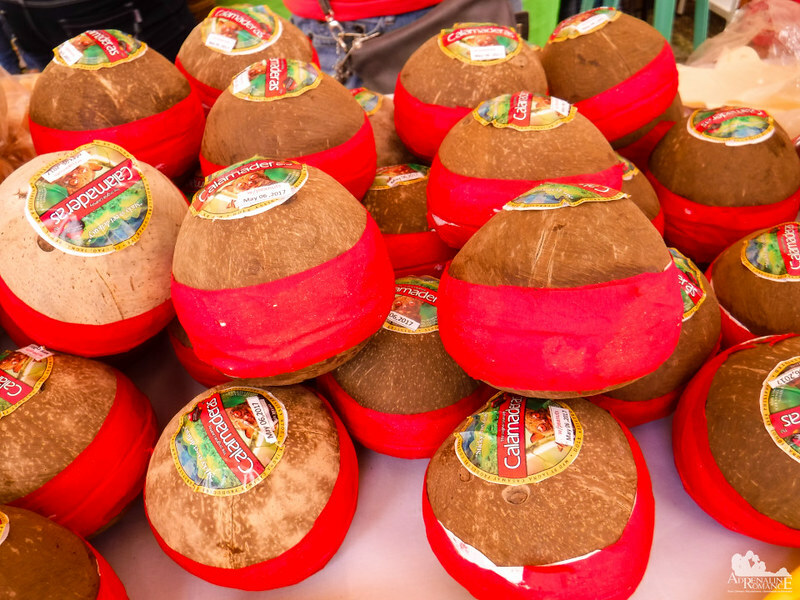 Traditionally, bagols, or coconut shells, are used to package the finished calamay. The containers are then sealed with red crepe paper before they are delivered to the market. Shells that contain ube calamay are sealed with purple crepe paper to distinguish them from the classic ones. Bagols are great packaging materials because they are completely natural and biodegradable. They look pretty and traditional as well. Modern times and the complexity of acquiring, cutting, cleaning, and polishing the right bagols gave rise to more convenient plastic containers that are used to package the product. Due to its extreme viscosity, placing the calamay in the bagols or plastic tubs is quite tricky. But with years of experience, these calamaderas can put precise amounts of the product in their containers with surprising rapidity and ease. 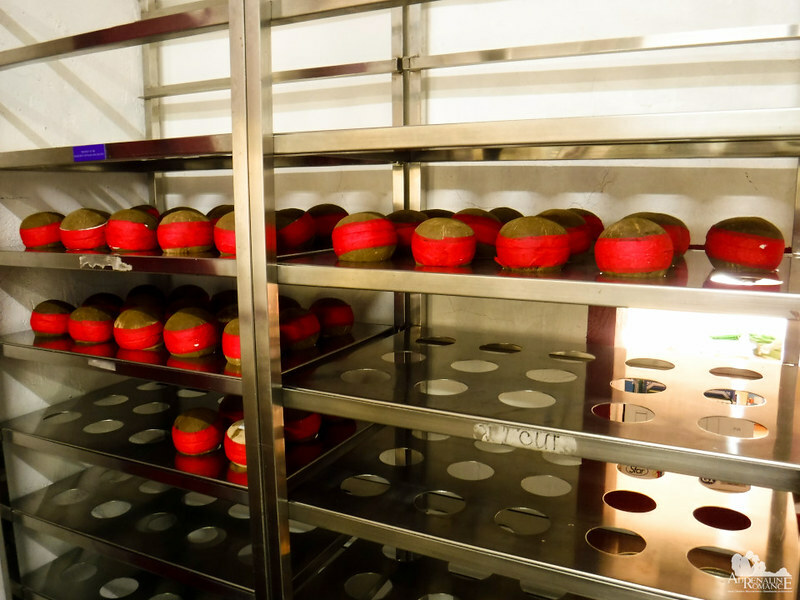 The calamay is then air cooled before the containers are sealed, and the products are delivered to the stores and market. 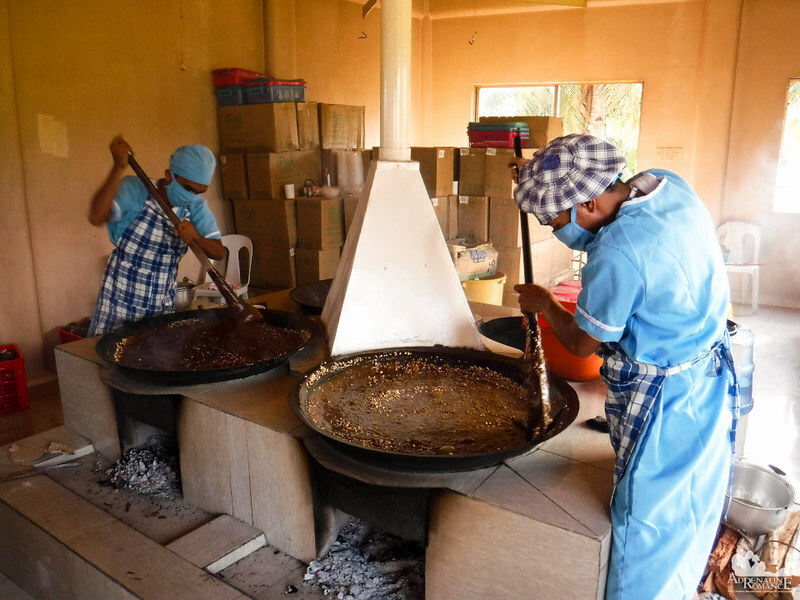 Check out this short video of making calamay the traditional way. The best part is putting the calamay in the container. It looks sooooo relaxing—similar to popping those air pockets in a bubble sheet. Hehehe! As you can see, the classic way of preparing calamay is truly full of heart. For generations, the traditional method of making the delicacy has been passed on to today’s calamaderas. 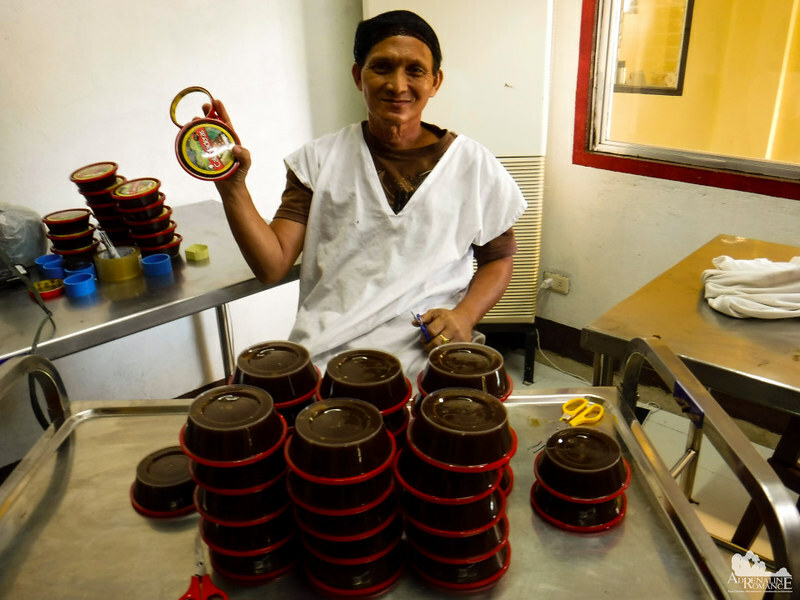 However, with the rapidly increasing demand for the delicacy, the calamay makers are hard-pressed to produce more output. Humans have physical limitations, and breaks in the stirring can cause bubbles, uneven texture, and burnt caramel. To increase output, keep up with the demand, and maintain high product quality, the Jagna Calamay Producers Cooperative—with the cooperation of the Jagna LGU, Department of Science and Technology, Department of Trade and Industry, and other institutions—decided to introduce machinery into the calamay production. We visited the facility a little too late; they were already done for the day. However, they still welcomed us into their production area and explained the modern process. 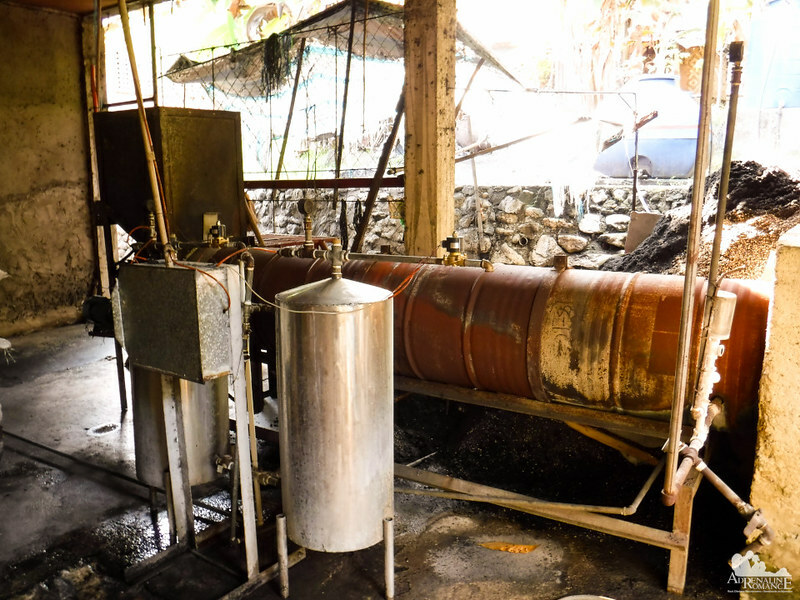 The pilit-coconut milk and latik mixture are continuously stirred in these huge vats, with stirrers powered by motors. This takes human fatigue and inconsistency out of the equation. 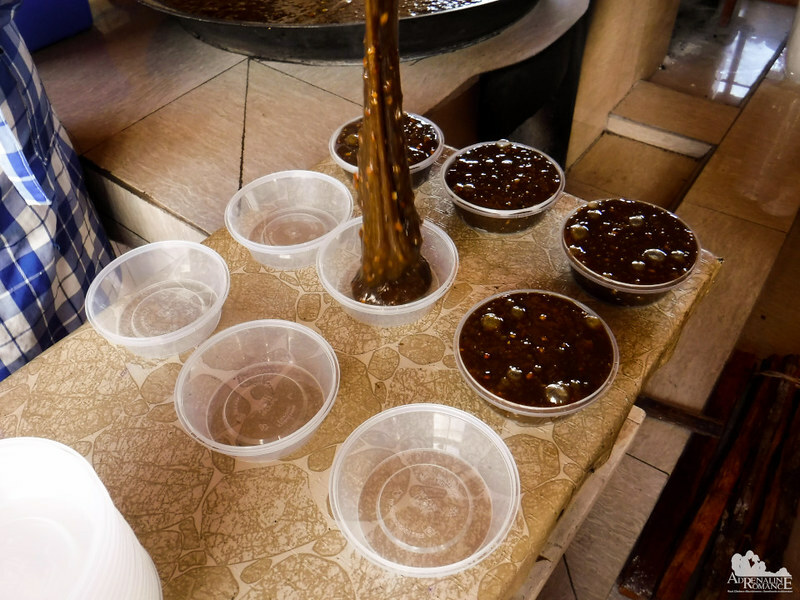 In addition, the steady, continuous speed of the stirring produces calamay that has a more even texture and sweetness than its traditionally created counterpart. 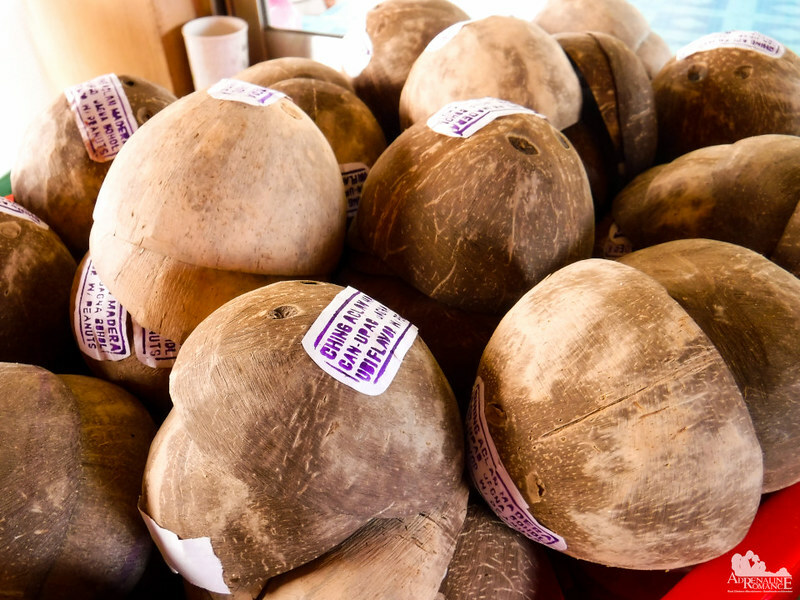 As mentioned earlier, one of the main ingredients used in making calamay is coconut milk. 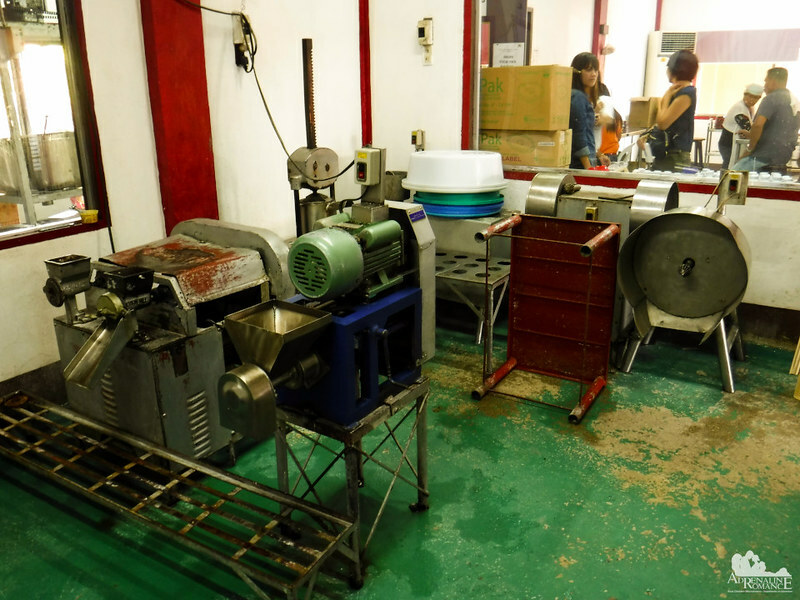 These machines quickly grate coconut meat and press them to extract the milk. Rather than wood-fired stoves, the facility uses a high-tech furnace that directs heat to the vat. To prevent accidental fires, the furnace is installed outside the facility. 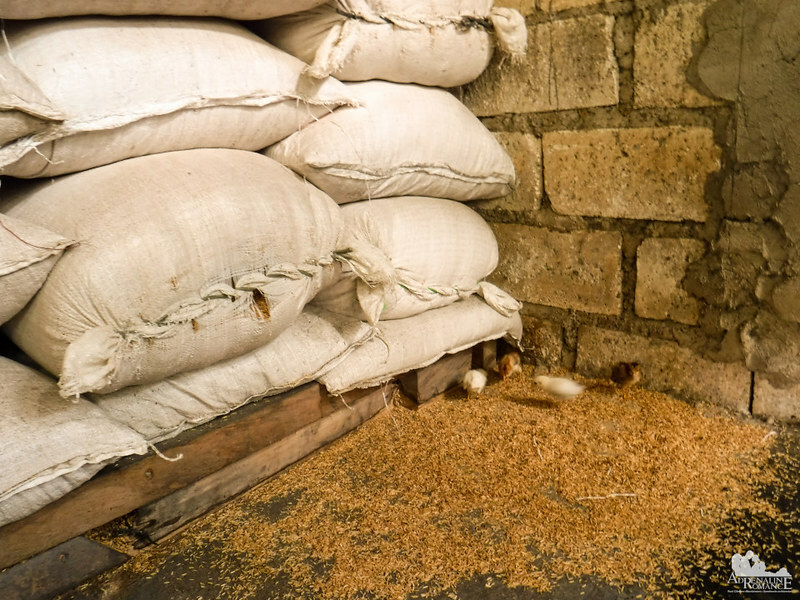 Discarded rice husks, which can be purchased in bulk at very low prices, are used as fuel for the furnace. It burns hotter and longer than wood. The ashes that remain from burning can be used as fertilizer. Machines haven’t completely taken over humans in calamay production. In fact, the cutting and wrapping of crepe paper (and possibly putting the calamay in their packaging) is still done by hand. Finished calamay in bagols are being sorted out for labeling, packing, and delivery. Of course, plastic containers are also widely used in packaging the finished product. 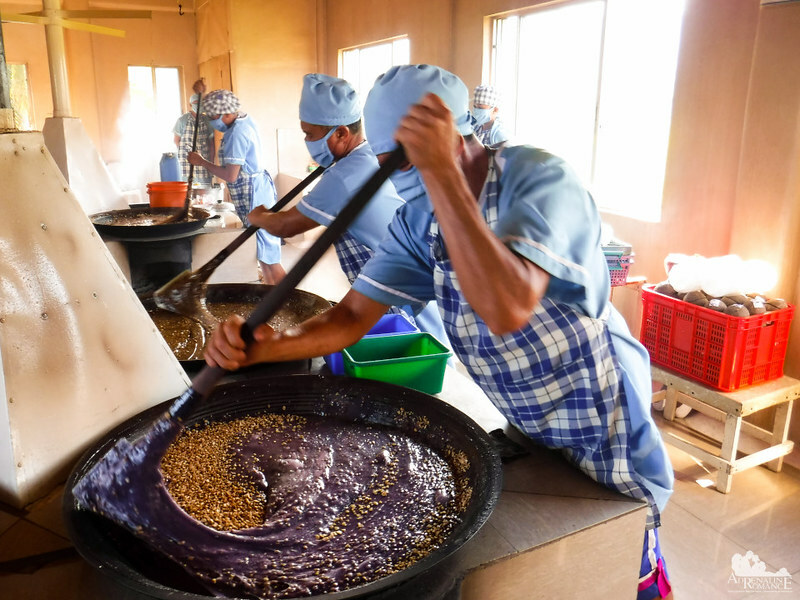 By using machines in processing the calamay, the Jagna Calamay Producers Cooperative has a vastly bigger yield than those that still use traditional methods. Calamay is more than just a tasty dessert, a delicacy, or a fun snack. It is a legacy of the culinary ingenuity of Jagna-anons and Boholanos. It is the undying passion of the people who want to give it their best. It is the proud product of the calamaderas‘ hard, unrelenting work. It is the glue that holds shy smiles and happy conversations that calamaderas heartily share. Underestimate the calamay at your own peril. 1. Calamay can be bought in stores, stalls, Filipino-specialty establishments, and pasalubong centers nationwide. Get several for your own consumption. If you’re going abroad, take some with you for your fellow Filipinos living on the other side of the world. The delicacy’s sweet taste will remind them of home. 2. Calamay can be eaten by itself, but it could also be used as a sweetener. Use them as a spread on your bread, as a dessert, or as a topping on your cake, cookie, or some other pastry. 3. Use a thick metal fork or spoon to take out some calamay from its container. The viscosity and thickness of the paste can easily break plastic utensils. In fact, it can even bend the handles of thinner metal forks or spoons. 4. 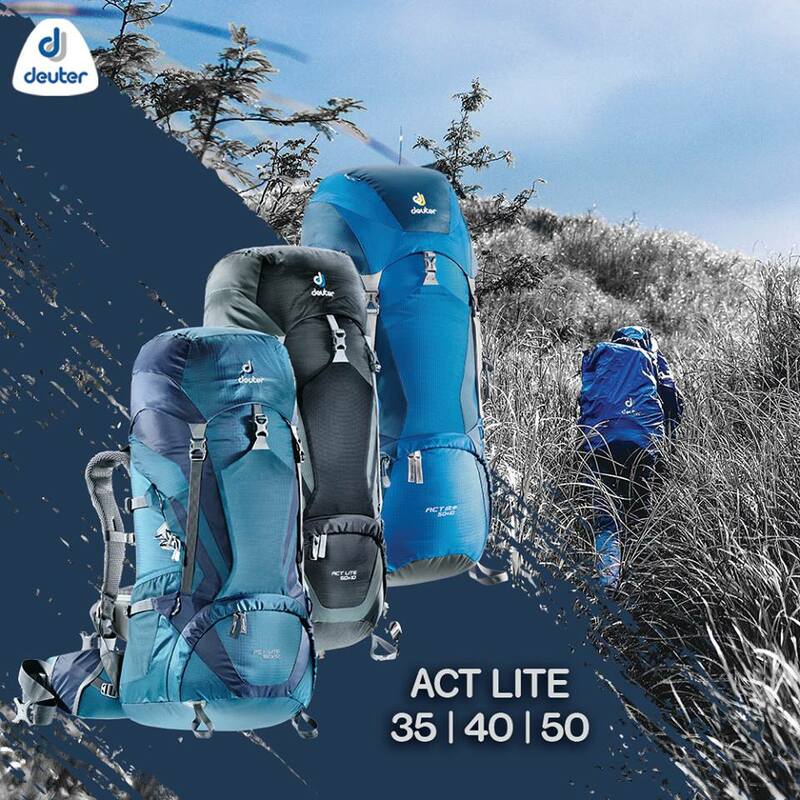 The product has a short shelf life, usually within just a few days. Once you open the package, consume it quickly. Prolonged contact with air causes molds to grow over it. 5. You can refrigerate it if you want to extend it shelf life, but note that the calamay becomes hard the longer it is chilled. As a sugar addict, Calamay really appeals to me! I am visiting Bohol soon to see the Chocolate Hills, so Calamay and the history of Calamay is something to look forward to when I visit as well. I’d never head of Calamay before. It’s cool that it has played such an important part in shaping the culture of Jagna. If I get to Bohol, I will definitely try it! This looks to be amazing sweet. Would love to try something traditional. Love the traditional packaging of the product. We agree with you. The calamay which is packed in a coconut shell seems to have more “heart” to it. I love the use of photos. Excellent ! I like the ginger ones the best!